We know the influence of the first impressions and how they will affect the later encounters. It is in those moments when we convince the audience of our content and level; those moments give us a second chance to strengthen bond and keep the impact we drew as purpose. 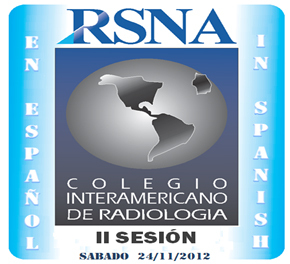 Now we face the responsibility once more of a session in Spanish in the next edition of RSNA in Chicago, on 24 November, from 1 pm to 5 pm. We gather again and, in this opportunity, we selected “Emergency Radiology” as the core issue, which includes very frequent events in our countries.Emrgency Radiology allows to make a quick and efficient evaluation in the search of the patients’ recovery and the auxiliary support of the treating physicians by means of the advances in our specialty. Venezuela, Mexico, Colombia, Spain, Puerto Rico, Argentina, Brazil, and Chile have been the invited countries, together with the mos distinguished professors: Doctor Diego Nuñez, Doctor Felipe Munera, Doctor Dulce Gomez Santos, Doctor Jeannette Perez-Rosello, Doctor Sergio Moguillanski, Doctor Giuseppe D´Ippolito, Doctor Eric Kimura andDoctor Gloria Soto. Doctor Miguel Stoopen and Doctor Pablo Ros will be the hosts and Doctor Gloria Soto and Doctor Oswaldo Ramos, the Coorinators of the session. We will take our warm academic contribution to the cold city of Chicago, where we will also have the opportunity to exchange experiences. That is why it is necessary to schedule and coordinate your attendance. This session will also be original since it will include simultaneous translation into English. 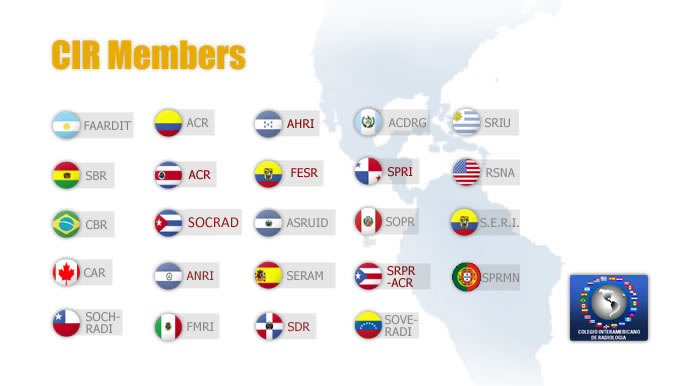 We hope we can exceed last year’s attendance with the aim of consolidating the presence of Latin American radiology in the main international events of Diagnostic Imaging. This is another achievement of CIR; the CIR we all want. 26th Inter American Congress of Radiology. Click here to access the program for the event. Ninth Book of the Advances Series. 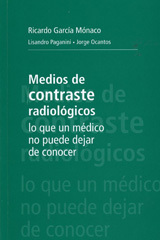 Authors of CIR: Radiologic Contrast Media. INVITATION TO WRITE IN THE ULTRASOUND QUARTERLY MAGAZINE. 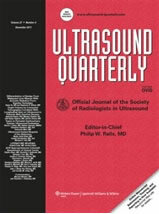 Ultrasound Quarterly is the official organ of the Society of Radiologists in Ultrasound (SRU) and it covers the latest and most sophisticated techniques, as well as the deep analysis of important developments in this dynamic field. 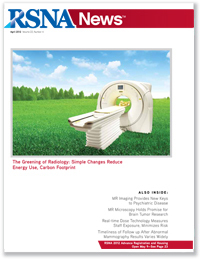 The magazine publishes its own research and reviews a wide variety of topics, including transvaginal Ultrasonography, detection of fetal anomalies, fluid image with color Doppler, pediatrics Ultrasonography and mammary sonography, and more. NOTE: This information is published in NOTiCIR thanks to Doctor Francisco Quiroz’s courtesy and kindness. They were the discoverers of the Potter-Bucky diaphragm or grid, which is used to reduce the secondary X-Ray emission. This discovery allowed to improve the quality of radiographic images as from 1913. In 1903 Ernst Pasche, while working in Germany, was the first one to discover the radiographic effects of the X-Ray emission, which explained the loss of definition and contrast of the radiologic image. He designed a mobile diaphragm that improved the resolution of the small segments of the body, but not of the bigger areas, like the abdomen or the pelvis. Pasche did not come to further progress regarding this initial observation. Gustav Bucky (Leipzig 1880-New York 1963) was an eminent radiologist and scientific. He studied in the University of Leipzig between 1902 and 1906 and later he worked at the Rudolf Virchow Hospital. In 1923 he immigrated to the United States and in 1929 he received the American citizenship. 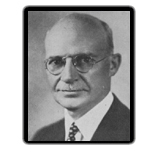 He was famous for his description of the screen named after him, which consists of a grid made of lead that works as a “honeycomb”; when it moves it reduces the emission of radiation and improves the resolution of the radiologic image. He began his experiments in 1908 and he presented his results in the Congress of Berlin in 1913 without great acceptance. In 1915 h registered his discover in the United States, where it was set into practice by Hollis Potter. Gustav Bucky made other remarkable contributions in the X-ray technology, such as the Bucky table (an adjustable X-Ray table), as well as in the field of dosimetry and radioprotection. Hollis Potter was born in Wisconsin in 1880 and attended Medicine school at the University of Chicago, at Rush Medical College, where he graduated in 1908. 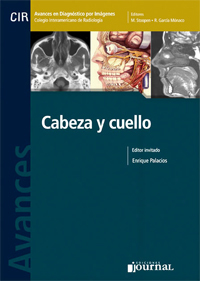 His professional career as radiologist developed in Chicago. 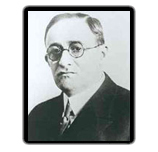 He was appointed president of the American Roentgen Ray Society in 1923 by the time he received the gold medal of the Society of North America, the American Roentgen Ray Society and the American College of Radiology for his research work. In 1916 he described his experiments when diaphragming the X-Ray beam by means of a grid formed with parallel lead plaques that alternated with some wooden stripes. When this grid was in movement, the X-Ray beam could not be detected. In 1920 he described the need of widening the grid so it covered the whole radiographic film. By this time, the commercial production of the grid had already begun. According to the American authors, Bucky’s merit is to have recognized that the X-Ray emission was responsible of the loss of definition of the radiologic image. Bucky raised this problem and Potter contributed to its solution.